(KPL) The Lao Global Futures Commodities Exchange Company, an online trading company, was launched in Vientiane Capital on August 17 in the presence of former Deputy Prime Minister, Somsavat Lengsavad, Vientiane Vice Mayor Keophilavanh Aphaylath and Director of Lao Global Futures Commodities Exchange Company Yong Hai. The Lao Global Futures Commodities Exchange Company is a joint venture between the Bank of the Lao PDR, the Ministry of Finance, the Ministry of Energy and Mines and the Ministry of Agriculture and Forestry. The company provides derivative services with respect to online trading of gold, silver, natural gas, crude oil, copper, iron ores, cotton, coffee, and raw sugar. 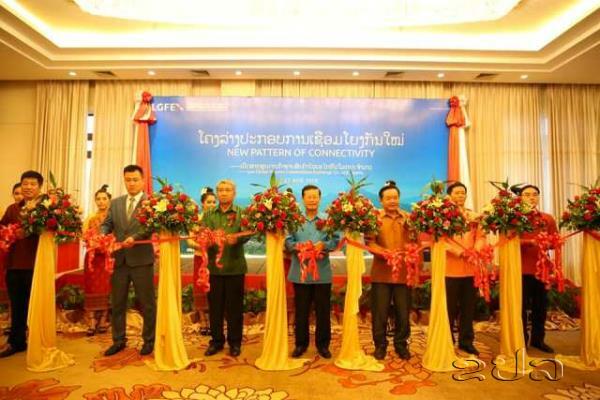 “The opening of pre-sales centres around the world will further promote the development of derivatives trading businesses in Vientiane Capital and parts of the country,” said Mr Keophilavanh Aphaylath. On the same occasion, the company donated 100 million kip to help flood victims in Sanamxay district, Attapeu province.